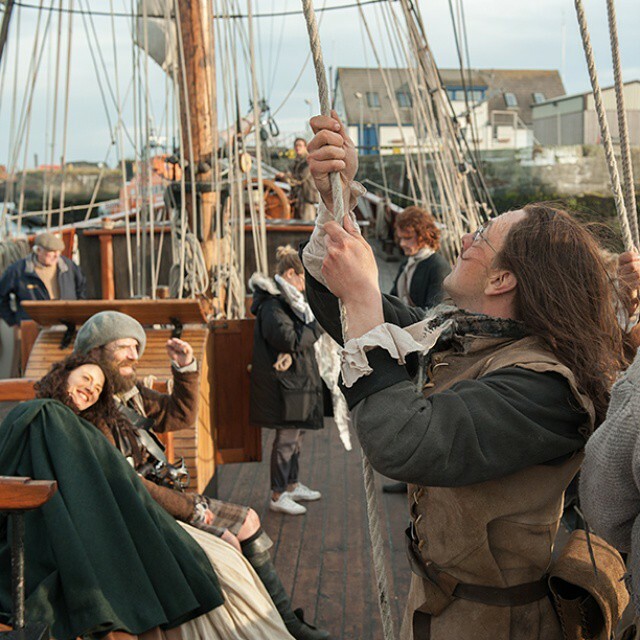 Here is a new behind the scenes picture of Caitriona Balfe and Duncan Lacroix on the Cristabel. Yippee…on to France. Good pic. to business in the background.